In a responsum written to the rabbis of southern France, the Rambam makes reference (paragraph 10, here) to Greek and Persian philosophers who disprove astrology, but doesn't name them. To which philosophers does the Rambam refer? What proofs do they cite to disprove astrology? Plotinus argued that since the fixed stars are much more distant than the planets, it is laughable to imagine the planets' effect on mankind should depend on their position with respect to the zodiac. He also argues that the interpretation of the moon's conjunction with a planet as good when the moon is full, but bad when the moon is waning, is clearly wrong, as from the moon's point of view, half of her surface is always in sunlight; and from the planet's point of view, waning should be better, as then the planet sees some light from the moon, but when the moon is full to us, it is dark, and therefore bad, on the side facing the planet. These philosophers are all Greco-Roman. According to Prof Tzvi Langermann's article, one argument used since antiquity was mass disasters. How could a group of people with births of different astrological significance all perish simultaneously? He cites Dom David Amand's Fatalisme et liberté dans l'antiquité grecque p. 53-55. I assume from the title that this is the argument of Greek philosophers. Not the answer you're looking for? Browse other questions tagged hashkafah-philosophy rambam prognostications astrology . How did Avraham refer to his father the Rambam in writing? 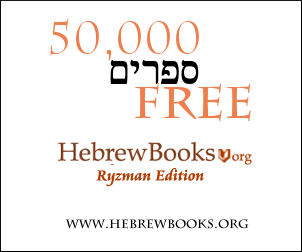 Does Rambam take the 6 days of creation literally?